Most people think of estate planning as being attached to their own mortality so they put the process off for as long as possible. How and when your death might happen is something that you have no control over, but you do have a significant amount of control over how you plan ahead for the future. 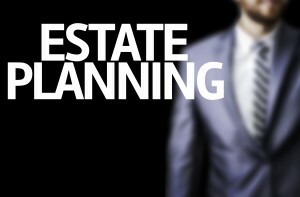 Estate planning is not just about determining what happens to your assets after you pass away. It is a process that also involves careful consideration of important decisions to be made throughout your life. These are the major reasons why individuals choose to use a power of attorney. It’s also a misconception that only individuals with a high net worth need estate planning. This causes far too many people, who may otherwise benefit from estate planning, to avoid the process altogether and compromise their interests. If you have a family that is dependent on your income, it is essential to plan ahead with proper strategies and tactics so as to protect your loved ones. It is never too early to start the process of estate planning. The sooner you begin to outline your intentions for your family as well as what will happen to your property after you pass away, the more confident you will be about the future. Planning now also allows you to amend your plans down the road as well as life circumstances change, but it is important to take the first step to protect yourself.